It’s that time of year again - where we reflect on the year that was. What was special, scary, moving, heart pounding or mind bending. The movies, television shows and games of 2018 have now all come and gone, so Julian Meush, Daniel D’Souza and Jeremy Kozier sit down for a retrospective look at the year that was. 2018 brought with it some absolute gems in all three categories. Whether it was comic tent-poles at the theatre that left audiences stunned, whip-smart comedies on TV that always brightened your day, or some of the most ambitious games ever made that dropped your jaw in awe of their scale and scope, it was a good year to be a fan of entertainment. Here’s to another great in entertainment! It’s Julian and Jeremy in The Tower this week as the two review a bounty of DC related content, including the season finale of Titans, CW’s big “Elseworlds” crossover event, and of course the latest instalment in the much maligned DCEU, Aquaman. The guys also briefly touch on some Marvel news coming from Netflix, Kevin Feige, and Sony, as well as touch on the first look at Will Smith’s Genie in the live action Aladdin remake. All that, and much more, in this week’s Tower of Babble Podcast. Julian is back with another car-cast, recorded right outside the theatre. This time it’s all about Spider-Man: Into the Spider-Verse, Sony’s latest take on the web-head, and this time they hit it out of the park. With stunning visuals, heartwarming storytelling, and top-notch voice performances, this is an almost perfect movie. Listen as Julian provides a brief, spoiler-free review and gushes over the best animated movie of the year. It’s been over a fortnight since the last full ToB Podcast but the guys are back to unpack a metric ton of nerdy news. Starting with Marvel, who certainly didn’t help lighten the news load, as they dropped both a Captain Marvel trailer AND a teaser for Avengers 4, now titled Avengers: Endgame. On top of that Disney released the first teaser for their Lion King remake, which quickly became an internet sensation. 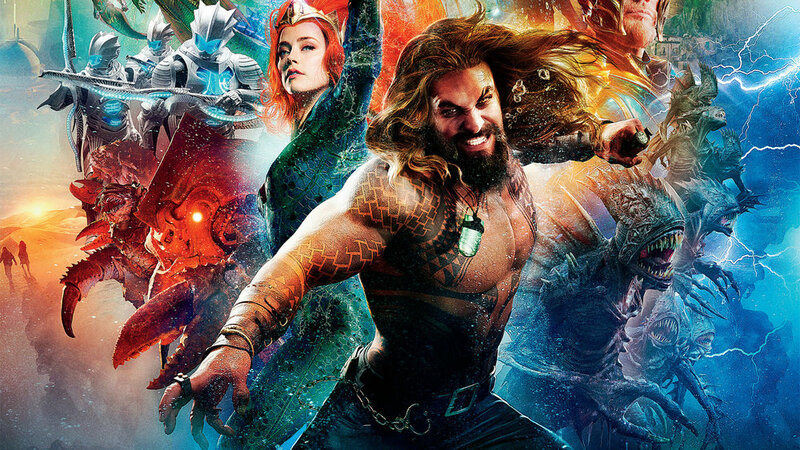 Plus, as we get closer to the premiere of Aquaman, DC treated us to even more footage with their final trailer. Julian, Dan and Jeremy also discuss the latest drama out of the Oscars, debate Christmas movie lists and question the strange Sonic the Hedgehog “motion poster”. All that, and much more, on this week’s Tower of Babble Podcast! Hello ToB Fans, we have a special bonus episode for you this week! Julian was invited to guest on the Daily DVR podcast with Axel Foley. It’s a show we’ve mentioned before so it was a real treat to receive the invitation. The guys discuss, among other things, Disney+ and it’s initial lineup, the new Handmaid’s Tale sequel novel coming from Margaret Atwood, Sylvester Stallone and Creed 2, Young Justice and a lot more!